You’re a guy. Guys tough it out when it comes to their health. You’re not complaining. You don’t have to run to the doctor for every little thing. However, you do need to pay attention when there are changes in your body. If you are not feeling like yourself or you are experiencing symptoms that are frustrating you, our team can help you to figure out what is going on. This especially holds true as you approach middle-age. This is a time when there are going to be changes that are beyond your control that tie in with your hormone levels. Some men escape any troubles during this time. 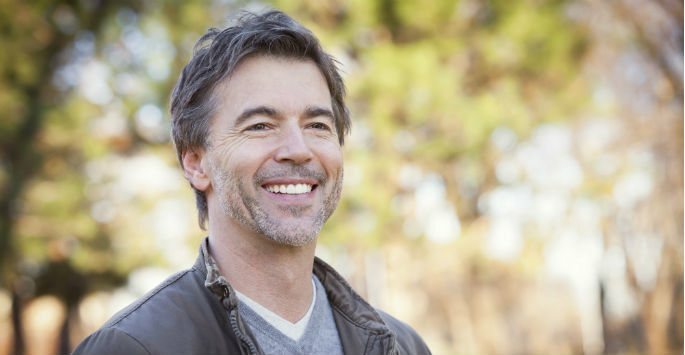 If you are one of the men who feels like your body is out of control, it may be time to think about hormonal therapy for men. Why Consider Hormonal Therapy for Men? It’s a normal part of life to experience a drop in your reproductive hormones. Testosterone is at its peak in your younger years. When you were in your twenties, you probably felt like you were on top of the world, ready to take on anything that came your way. As you grew older, your testosterone levels started to drop. It’s a gradual process. However, it hits some men harder as they get older. It can cause symptoms like irritability, a loss of sexual drive, fatigue, and a lack of energy. It can make you feel like you are really dragging all of the time. You may start putting on the pounds. When you look in the mirror, you may not like what you see. Most importantly of all, you may not feel right anymore. Hormonal therapy for men can help you to bring your hormones back on track. What Can You Expect from Hormonal Therapy? Hormonal therapy for men replaces hormonal deficiencies, especially when you experience a drop in testosterone. Our team of professionals will monitor you during treatment to make sure hormonal therapy is working for you. If changes need to be made, we will find the right therapy for you. If you want to take charge of what is happening with your testosterone levels, hormonal therapy for men at Envoque MD can help. The first step is to come in for an appointment at our office in Scottsdale or Mesa. Once you have your consistent therapy, you will feel better. Contact us today to schedule a consultation!